Sensei has been confirmed not to be returning for the Christmas Party by the Club Penguin Rewritten team. This is just a short post to let you know the news. Q: Will Sensei show up again during the Christmas Party? 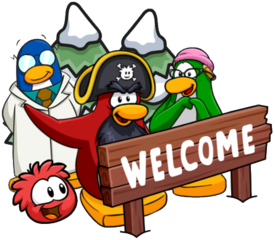 However, the good news is that Rockhopper is also confirmed to be making at least one more return this week! 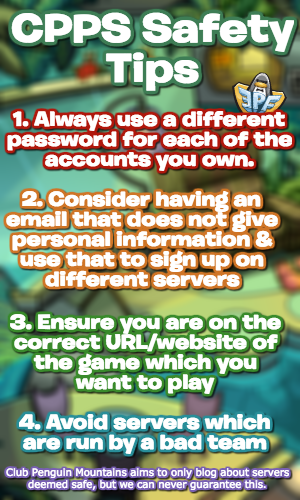 There’ll be plenty of chances to meet Rockhopper through the week, the captain comes on early for the majority of the other timezones to firstly be fair for those that never get a chance to see most mascots – there’ll be a lot of variety within the week coming. As only Rockhopper is confirmed to be visiting for now, the Sensei & Rockhopper tracker is no longer merged. Torres126 i’m scared i’m gonna get banned because penguins are making me say bad things that i’m not aware of is bad. should i report them?